This is great if you feel like something light but still substantial, pasta without the heavy feeling afterwards. Kale in the last few years has gained popularity as a superfood, being one of the healthiest vegetables available. It's high in fiber, iron, Vitamin K, A & C, low in calories and has zero fat. Per calorie it has more iron than beef and more calcium than milk. It's a good source of potassium, manganese, phosphorus and copper. The mushrooms help add an earth flavour as well as thickens up the sauce, toning down the coconut milk taste. These amazing photos show animals in a way that you've never seen them before. Each image serves as a reminder that we share the planet with some truly awe-inspiring creatures. 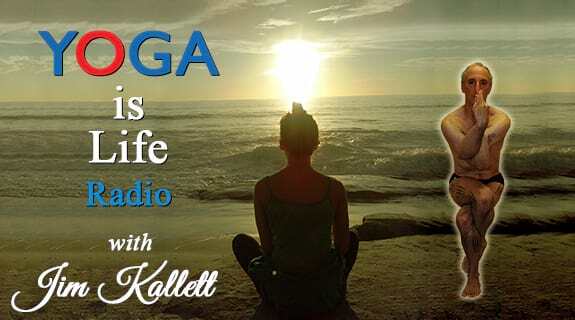 Jim Kallett, a senior Bikram Yoga teacher, who graduated in 1997 during Bikram's 5th Yoga Teacher Training, owner of Bikram Yoga San Diego is hosting a 13 week internet radio talk show where he discusses everything to do with yoga, and how it addresses the fundamental questions and concerns of life. It will focus on some history of Yoga, especially in the West, what is Yoga, current trends and what it means, the practical application of Yoga, proper techniques, safety, effective use, precautions, and the reality. How the proper practice of Yoga is the best, safest, most scientific tool for improving the quality and longevity of one’s life . This first week focuses on Talking Yoga with Emmy Cleaves. Nutella is so yummy and addictive, however if you look at the ingredient list as it appears on the jar, it's as follows: sugar, vegetable oil, hazelnuts (13%), skim milk powder, fat reduced cocoa powder, emulsifier and flavouring. Not exactly the healthiest. So I decided to make my own and it's surprisingly easy and very delicious! Bikram yoga certainly has changed my life, and this is yet another inspiring story of how it has affected someone else. From the students who courageous walk into the room and open themselves up to healing, to the teachers who inspire and give out their energy, to the studio owners who offer a safe and nurturing haven for everyone to come be themselves and create their own empowerment. Yoga is life, here's how it changed mine! In the mood for something sweet so I came up with a carrot and bell pepper or as we call it in Australia capsicum soup. When I first went grocery shopping in the states and asked for capsicum people were like WHAT?! Then I got in the habit of calling it that, came home to Australia and then had people look at me funny when I called it a bell pepper - can't seem to win! Back to the soup, it has a light sweetness which isn't overwhelming, after I boiled it and had a taste, it featured a very strong carrot flavour so I let it sit for a while, then blended the cashews in with it and suddenly all the flavours combined together and it just worked! Gregory Colbert’s Ashes and Snow feature film captures extraordinary moments of contact between people and animals as seen through the lens of the artist’s camera on more than thirty expeditions to some of the earth's most remote places. Written, directed, produced, and filmed by Gregory Colbert, it is a poetic field study that depicts the world not as it is, but as it might be—a world in which the natural and artificial boundaries separating humans from other species do not exist. The viewing experience is one of wonder and contemplation, serenity, and hope. The third week focuses on Guest Joseph Encinia. Imagine a creamy white chocolate cheesecake with spicy maple syrup oozing out with every bite... Now try to imagine that being healthy. Well it can be done! It was girls yoga lunch date on the weekend and my contribution was dessert, I was originally going to make a dark and white chocolate, then I saw some cinnamon in the pantry, had a craving for it and then decided to go with maple cinnamon and white chocolate. I have to say, it came out really well, if you look at the picture, you can see little pockets of maple all throughout the cake. Very yummy!